FRI KarRC RAS. Kryshen Alexander M.
Member of the: Presidium of the Russian Botanical Society; Presidium of the Karelian Research Centre of Russian Academy of Sciences; Scientific Council of the Forest Research Institute and Scientific Council of the Institute of Economics of Karelian Research Centre of Russian Academy of Sciences; of bureau of Scientific Council of the Russian Academy of Sciences on Forestry, Scientific Council of the Russian Academy of Sciences on Botany; Board of Councillors of the Ministry on Nature Use and Ecology of the Republic of Karelia. 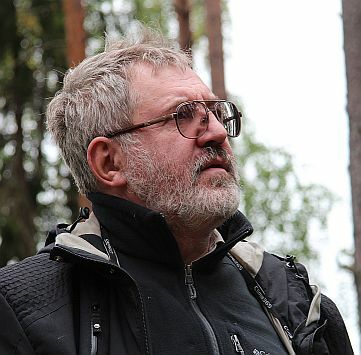 Deputy Editor-in-Chief for peer-reviewed scientific journal «Transactions of Karelian Research Centre of Russian Academy of Science», Editor-in-Charge for «Biogeography» Series, Associate Editor for peer-reviewed scientific journals «Rastitelnye Resursy» (Plant Resources) and «Sibirskij Lesnoj Zurnal» (Siberian Journal of Forest Science).